It is always difficult when a person experiences chronic pain. Chronic pain can last for weeks, months, and possibly years. Pain-related conditions are much more than a physical condition. They can also affect a person’s social and psychological health. When a child experiences chronic pain the situation can be even worse. A child’s caregiver or parent may also feel helpless or inadequate as a result. From the worldwide perspective, chronic pain is believed to affect 20% to 35% of children under the age of 18. In general, chronic pain treatment is very subjective. For instance, the pills, topical creams and dosages may vary from person to person. On the other hand, there is an added fear when treating children with pain due to the fear of long-term effects and the vulnerability of treating a growing child. There is also limited evidence to support the effectiveness and safety of pain treatment in children. However, according to a new study published in the journal Alternative and Complementary Therapies, researchers at Rush University Medical Center discovered that acupuncture may be an effective and safe complementary therapy in pediatric patients with chronic pain. Acupuncture has been used to treat many health issues in traditional Chinese medicine for approximately 8,000 years. Current evidence also supports acupuncture for many pain-related issues such as headaches, migraines, fibromyalgia, carpal tunnel syndrome, and osteoarthritis. Although large systematic reviews have shown the effectiveness of acupuncture at reducing chronic pain in adults, the evidence is limited in similar studies on acupuncture for chronic pain in children. The current study included 55 children and adolescents between the ages of seven and 20 who suffer from chronic pain conditions. The most common chronic pain conditions in children include abdominal pain, headaches, back pain, Crohn’s disease, sports injuries, and leukemia. For the study, the patients received up to eight 30-minute acupuncture treatments at the Rush facility. Every patient reported significant pain reduction throughout the acupuncture treatments. The patients would report stronger pain reduction early in treatments, but they also experienced substantial pain reduction throughout the entire acupuncture session. The patients also reported reductions in educational, emotional, social, and health problems. 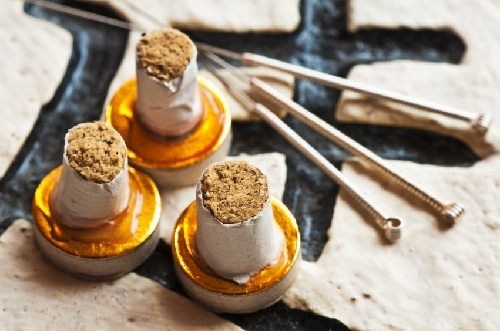 Overall, acupuncture treatment proved to be a valuable alternative to chronic pain drugs. The study used the Adolescent Pediatric Pain Tool to measure the children’s self-reported pain intensity, quality, and location. The pain tool featured a body diagram that identified particular pain areas. There was also a pain-intensity scoring system that indicated, “no pain,” “little,” “medium,” “large,” and “worst possible pain.” There was also a pain-quality system to help describe the pain experience of the children. What are some acupressure points for chronic pain conditions? For lower back pain, bladder 25, 31, and 40 may be used. For abdominal cramping, spleen 16 is the acupressure point used. The research team intends to expand to a larger study with more children to help understand how acupuncture relieves chronic pain. Johnson, A., et al., “The Use of Acupuncture for Pain Management in Pediatric Patients,” Alternative and Complementary Therapies, 2015; 150807124132008, doi: 10.1089/act.2015.29022.ajo. “Not ordinary growing pains,” ScienceDaily web site, December 15, 2015; http://www.sciencedaily.com/releases/2015/12/151215160642.htm. Balch, J., et al., Prescription for Natural Cures: A Self-Care Guide for Treating Health Problems with Natural Remedies Including Diet, Nutrition, Supplements, and Other Holistic Methods (Hoboken: John Wiley & Sons, Inc., 2004), 80, 189. Vickers, A.J., et al., “Acupuncture for chronic pain: individual patients data meta-analysis,” Archives of Internal Medicine, 2012; 172(19): 1444-1453, doi: 10.1001/archinternmed.2012.3654.